Victim Of Illegal Search and Seizure On I-76 in Philadelphia? Victim Of Illegal Search and Seizure On I-76 in Philadelphia? Illegal search and seizure on Pennsylvania’s I-76 has become a serious issue for many drivers over the past few years. The interstates are often used for drug transport, and law enforcement has been taking extreme measures to put an end to it. In some cases, officers have conducted traffic stops for no reason other than the vehicle had out-of-state plates. It’s also common for officers to wait for a driver to make a minor infraction, such as driving too close to the car in front of them. Innocent people are targeted this way all too often, and are then subjected to even more unfair behavior during the stop. An officer must have “probable cause” to conduct a traffic stop. This simply means that he must believe that the person he’s stopping has committed a crime. Once the vehicle is stopped, the officer can only attend to the infraction he stopped for, unless he becomes aware of an additional crime or has a justifiable reason to believe something more is going on. He is expected to follow a specific protocol, and even the amount of time he may hold an individual is limited by law. When Does It Become an Illegal Search and Seizure in Philadelphia? Without probable cause, a warrant, or the driver’s permission, an officer does not have the lawful right to search a vehicle. Even if the individual was speeding or genuinely did commit a driving infraction, the officer still may not search the vehicle. Sometimes police will have a driver exit the vehicle and will frisk him before an arrest, or will search the vehicle without having a lawful reason to do so. He may ask a passenger for permission to check inside, or ask the passenger for permission to examine his or her belongings, but even this does not give the officer the right to examine the inside of the vehicle. In any of these situations, the officer has violated the driver’s Fourth Amendment rights, which protects him from unlawful search and seizure. Being searched without probable cause is unsettling and illegal, but it’s difficult to prove to a judge and jury that this has occurred. A seasoned illegal search and seizure attorney will look into all the evidence provided, as well as the timeline of events, and may be able to demonstrate to the court how someone’s rights were violated. This is a key component in many cases involving illegal drug charges, as proof that an individual’s rights were violated can lead to the evidence being thrown out. Without evidence, the prosecution has little to go on, and the charges are often dismissed. 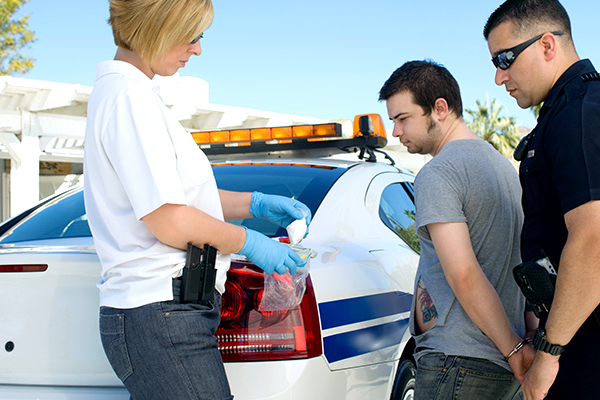 To find out if an illegal search and seizure lawyer can help you beat your I-76 drug charges, take a look through the profiles listed on this site and begin scheduling your free case evaluations today. His clients include Drug Crimes, Federal Indictments and DUI/DWI cases. Philadelphia Interstate Drug Lawyer connects you to experienced Pennsylvania lawyers in Chestnut Hill, PA that can defend you against your drug-related charges. Our listed Pennsylvania attorneys will meet your expectations as they are knowledgeable and experienced in drug related charges. Philadelphia Interstate Drug Lawyer connects you to experienced Pennsylvania lawyers in Mount Airy, PA that can defend you against your drug-related charges. Our listed Pennsylvania attorneys will meet your expectations as they are knowledgeable and experienced in drug related charges. Philadelphia Interstate Drug Lawyer connects you to experienced Pennsylvania lawyers in Center City, PA that can defend you against your drug-related charges. Our listed Pennsylvania attorneys will meet your expectations as they are knowledgeable and experienced in drug related charges. Philadelphia Interstate Drug Lawyer connects you to experienced Pennsylvania lawyers in NE Philadelphia, PA that can defend you against your drug-related charges. Our listed Pennsylvania attorneys will meet your expectations as they are knowledgeable and experienced in drug related charges. DISCLAIMER: The information you obtain from this site is not, nor is it intended to be, legal advice. “https://philadelphiadruglawyers.com” is not a law firm. You should consult an attorney for advice regarding your individual situation. Viewing this Website or even contacting us does not create an attorney-client relationship. Any information sent to Philadelphia Drug Lawyers through email or contact form on the Site is not secure and is done so on a non-confidential basis. Attorney listings are paid attorney advertisements and do not in any way constitute a referral or endorsement by philadelphiadruglawyers.com. All operators will only forward your information to attorneys who advertises in your area. See our full disclaimer HERE. Copyright © 2019 Philadelphia Drug Lawyers.